Donald Trump wants to eliminate DACA. If he does so, he would end with the dream of thousands of emigrants who come to the United States with the desire to have the opportunity and aspirations that their countries of origin do not provide. This is how the parents of Delia Ramirez, a Guatemalan woman who will become the first American legislator with this origin, came to America. Her parents arrived in the land of opportunity 34 years ago, never imagining that the little girl who was in her mother's womb would become the first Guatemalan-American legislator in the Illinois government, after winning the Democratic primary election for representative state of the fourth district. If there had been a president like Trump 34 years ago, Ramírez could not have been today the pride of her relatives and compatriots who celebrate her victory as if it were theirs. The young woman received the support of two Latino commissioners with strong roots in the Hispanic community; Jesús “Chuy” García and the federal representative Luis Gutiérrez, Mexican and Puerto Rican politicians respectively, were her political support. But Ramírez knows there is a lot of work to be done, especially when the government for which you will work is opposed to emigration, particularly if migrants are Hispanic. Among the first measures that the Guatemalan-American intends to enforce will be the Trust Act. With it, she will seek to support all those emigrants who arrive to Illinois, turning the state into a sanctuary. According to Ramírez, outside Chicago, Latinos are afraid. And the future legislator is not far from the truth. It is known that ICE has implemented its terror regime, mainly in those cities in the United States where there is an immigrant majority. ICE searches work centers, homes and businesses where it is suspected there are undocumented. In addition, there is the mistreatment of those who are arrested. Ramirez hopes that during her legislative period and under the Trust Act, migrants will not have the feeling their lives stop when they see a federal ICE or police car, but quite the opposite, that they feel safe and will be able, like her, to aspire to relevant political positions in a country that has been forged by emigrants since its foundation. The voters who supported Delia Ramirez are mostly of Hispanic origin. The success of this woman born in Humboldt Park and who still lives near her parents stemmed from it. 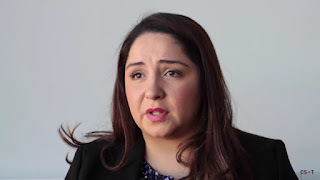 According to her, Guatemalans, like other Latino communities, are scattered throughout the city of Chicago, but they have the same protection and assistance needs as the Mexican, Salvadoran or Puerto Rican community. Therefore, from her point of view, encouraging the settlement of these communities in specific areas and giving them the possibility to pay less rent will be other of her goals. The former worker and executive director of the Center for Changing Lives is one of the locals' hopes to change the rates of income and taxes, with the aim at giving at least other families a home and that these are not displaced because they cannot afford to pay the rent. The president of the Logan Square Neighborhood Association (LSNA) has already told the press that she will be a co-sponsor of a proposal by Rep. Will Guzzardi to control rents at state level. And in the city of Chicago, specifically in the 606 district, rents have tripled, as well as taxes. Some specialists consider it is due to in less than a year there have been at least six new construction projects. Ramirez told the Chicago Tribune that during her campaign several neighbors commented on the abusive rent rates and their desires that the community in which they live become more prosperous and stable in their prices. Delia already won the battle by running and defeating three other opponents. Despite being of Latin origin, she found alliances useful to defeat her opponents, who will now help her with her management period. Although she has not officially assumed the position, the new legislator has already begun a tour of the communities that will represent Humboldt Park, Hermosa, Bucktown, West Town, the Ukrainian Village, the East Village and Logan Square to closely monitor the concerns and needs of their constituents. The victory of this lady happens at a crucial moment in the United States. Currently the country has taken steps to reverse the rights of minorities. The LGTB community, women, African-Americans and emigrants have been relegated to the background, mostly discriminated against by segregationist measures that sometimes exclude them from potential work centers and social rights. Hence, her triumph is a beacon of light in the Democratic darkness of Donald Trump.